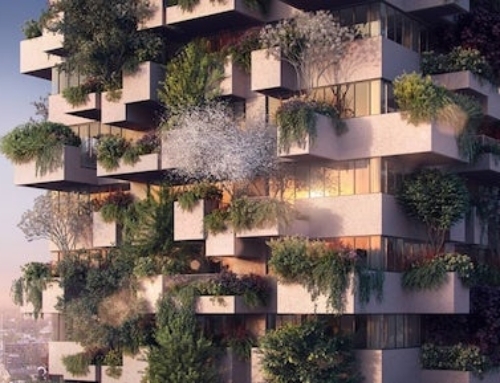 Sustainable living is something that more and more people are becoming interested in, but unfortunately the costs of downsizing to a tiny home are still prohibitive to many. 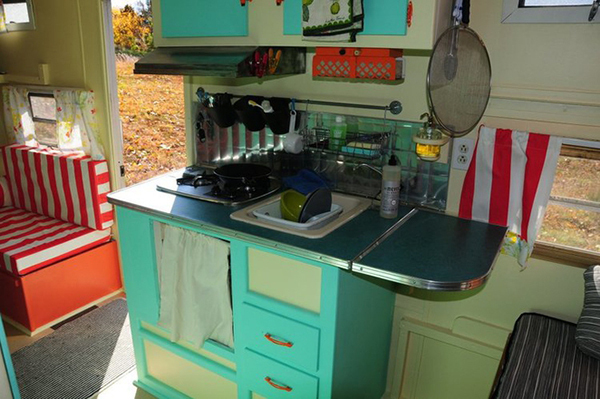 When Mariah Pastell, an eco-designer from Worcester, Massachusetts wanted to downsize to a tiny home, she decided to transform a vintage camper trailer, rather than build a traditional tiny home from scratch. 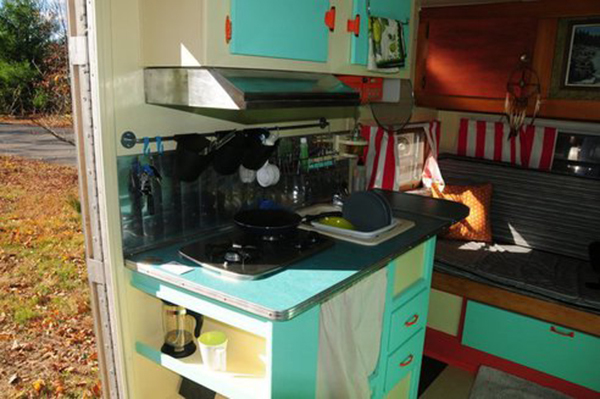 She transformed a 1960’s Avalon trailer into what she calls the COMET, which stands for Cost-effective, Off-grid Mobile Eco Trailer. She lives in this tiny home all year, transporting it to warmer climates during the winter months. Mariah bought the Avalon trailer for only $500. It measures only 112 square feet, and Mariah started the renovation by first gutting the 8 by 14 feet trailer completely. She then converted it to an off-the-grid tiny home and mobile classroom, which has no environmental impact and is totally self-sufficient. 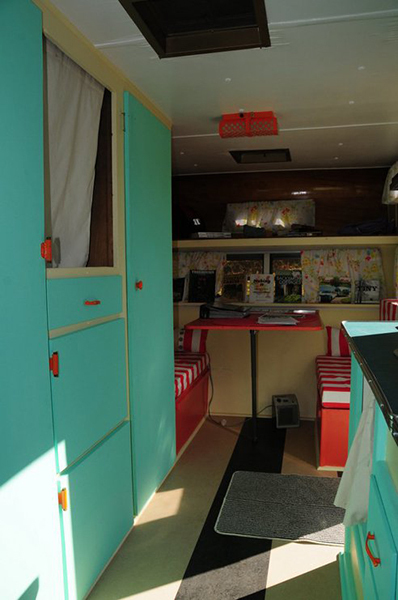 The trailer features a dining area that converts into a guest bedroom, a bedroom that converts to a living area and office, and storage space. 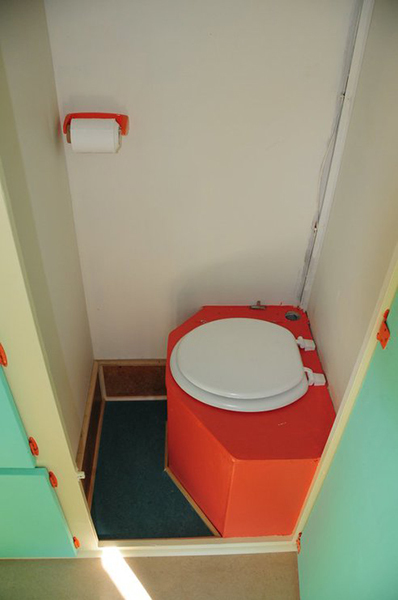 The trailer is also fitted with a composting toilet. When redoing the COMET, Mariah concentrated on using only non-toxic, locally or sustainably sourced, and repurposed materials. 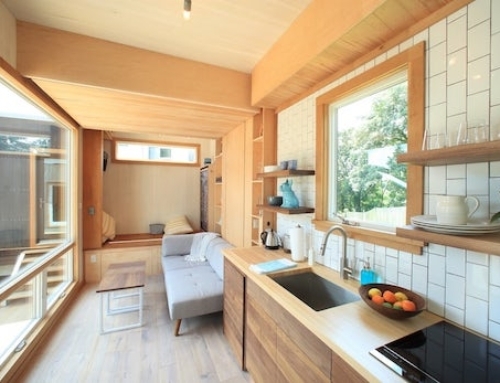 Mariah started by redoing the electrical wiring, then fitted the tiny house with non-toxic UltraTouch Denim insulation. She also installed a 555 watt solar photovoltaic array, which is mounted on the roof of the trailer. She also has plans to construct a “bumper garden” out of cedar and aluminum soon, which she will use to grow her own vegetables. 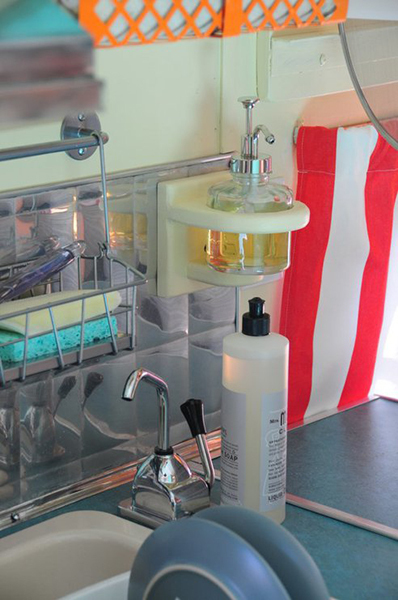 The trailer is equipped with a fully functional kitchen, but in order to keep the energy expenditure low, she opted for a hand-powered “rocket pump” to get running water. 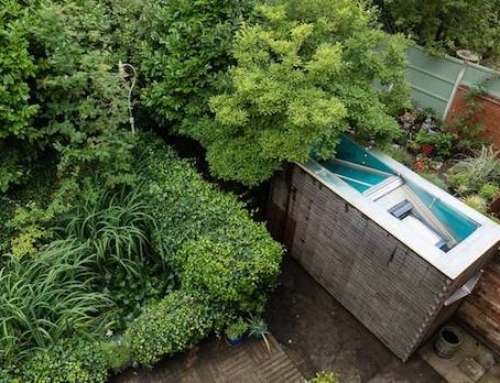 One of the main reasons she decided to build a tiny home using a trailer is that such a home is much easier to transport, than a regular tiny house on wheels. 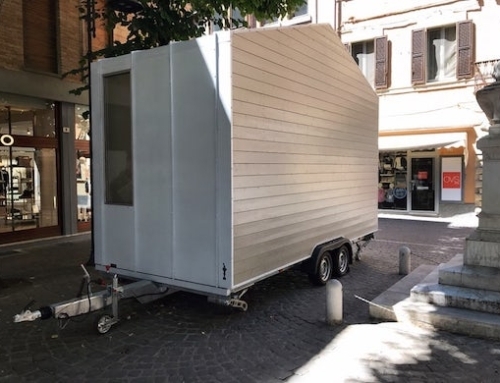 Even though the mobility of a tiny house is considered one of its key advantages, it is still tremendously difficult to tow a regular tiny house. But using a trailer eliminates this drawback. 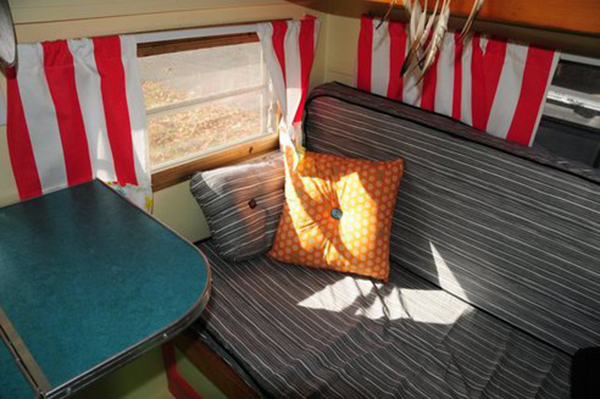 In addition to that, many disused vintage trailers can be bought for low prices on Craigslist and elsewhere. Mariah travels around the country in the COMET, teaching workshops on the benefits and strategies of sustainable living. Love this!!!! 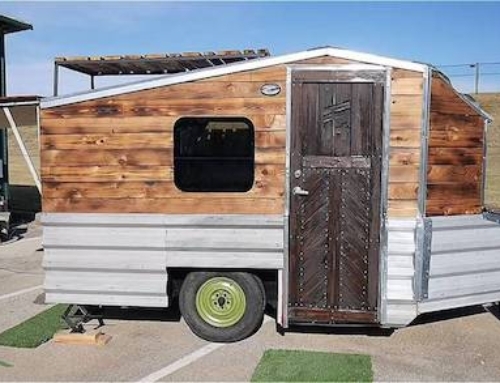 Best way to have your tiny home is on wheels to enjoy it everywhere!! Nicely Done!